Potato problems in Manitoba and across the country could cause a shortage of the starchy dinner staple. In Manitoba, Canada’s second largest potato producer, thousands of acres of land with the plant went unharvested after a bad crop. Dan Sawatzky is with the Keystone Potato Producers Association, which looks after potatoes processed in Manitoba. Sawatzky estimates about eight per cent of the crop is a loss. It’s partly due to fall rains, which prevented farmers from getting potatoes out of the ground, and a drier than usual summer. Sawatzky said there’s a similar shortage in Wisconsin and Prince Edward Island, Canada’s biggest grower. To help fix it, Manitoba is getting potatoes from parts of the United States and other provinces to make potato chips and French fries. 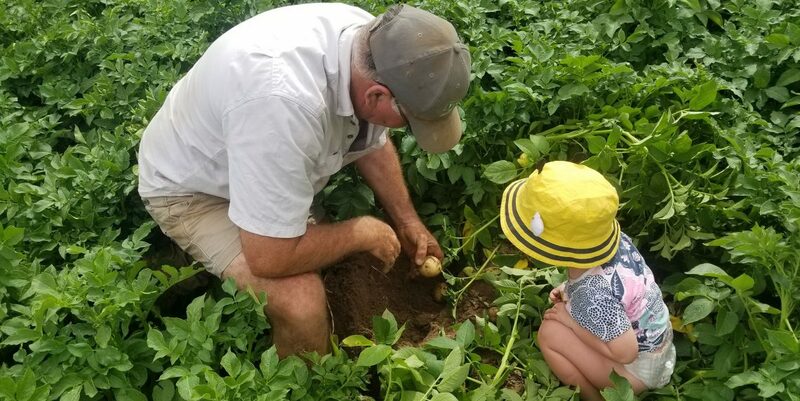 At Southern Potato’s farm near Winkler, which grows about 2,000 acres of potatoes annually, irrigation helped the produce a good crop on some land, but other parts that didn’t use the technology saw average to below average potatoes. “Changes in farming practices and adoption of technology allowed us to produce an average crop with below average rainfall,” said owner Keith Kuhl. In Winnipeg, Vic’s Fruit Market prides itself on good quality local produce. Owner Scott Schriemer says there are still potatoes in storage.